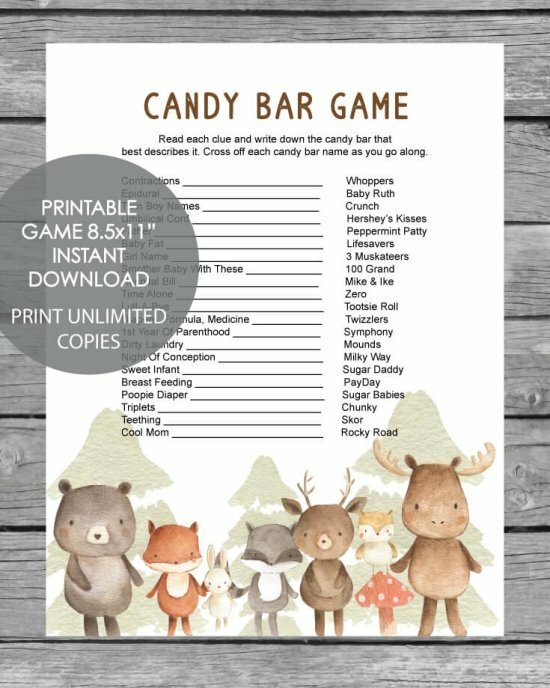 We have tons of popular Fall Woodland Animal themed baby shower games and printables in the shop. 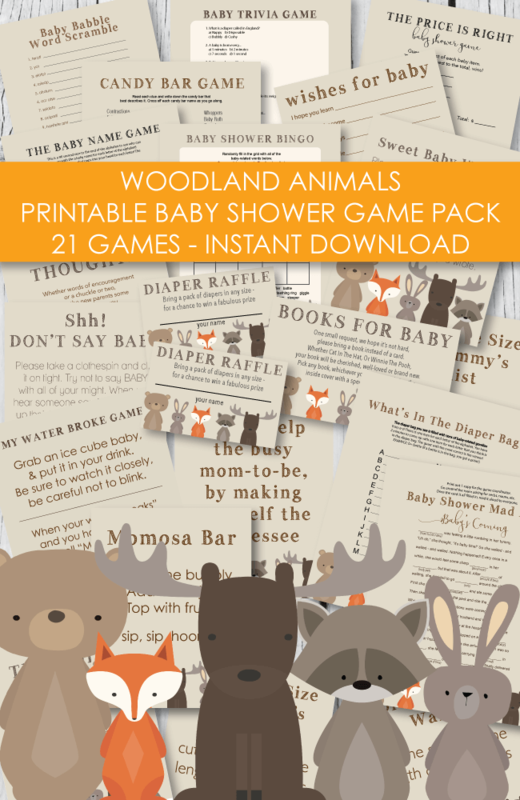 Perfect for Autumn Baby Showers - Take A Peek! 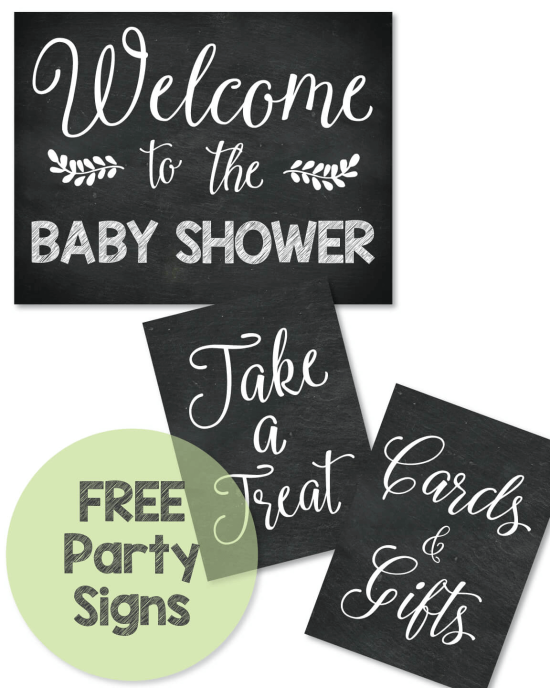 We have come up with a bunch of colorful and festive Fall Baby Shower Ideas just for you! Autumn is such a wonderful (and beautiful) time of year. The rich colors of the trees this time of year cannot be beat! 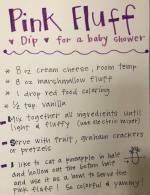 It makes decorating for a fall shower so easy - you can incorporate bright shiny red apples, dried corn cobs, gourds and pumpkins into your baby shower. 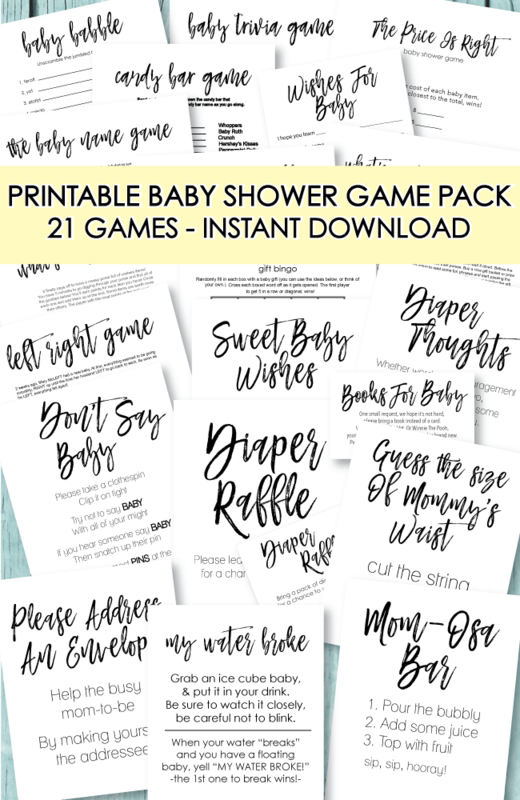 Be sure to scroll down to the end of the page ... there are several FREE Fall printables for you to choose from! 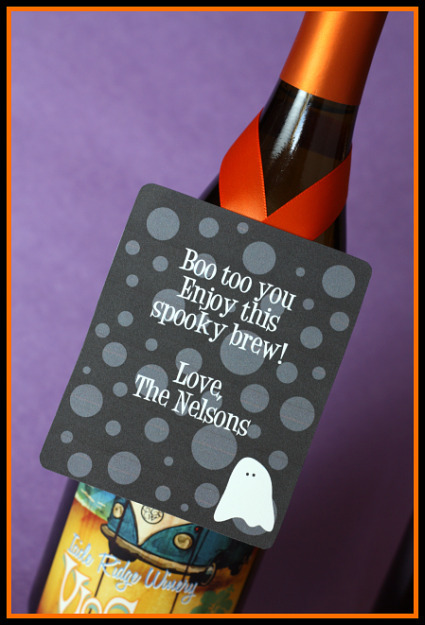 Halloween favor tags, wine tags, gift tags and more! 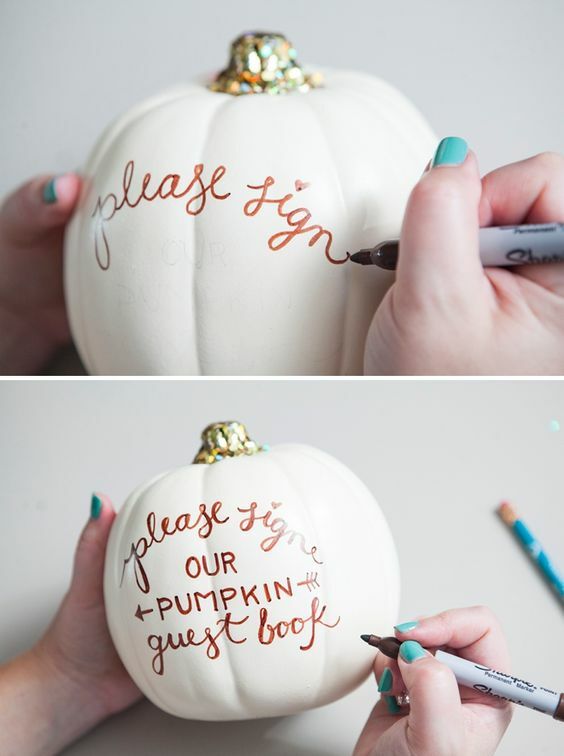 Use an artificial pumpkin from a craft store as a baby shower Guest Book! 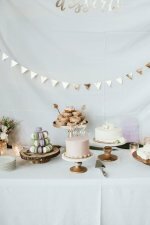 So adorable and unique - Use cute, sparkly, permanent pens for guests to write with. 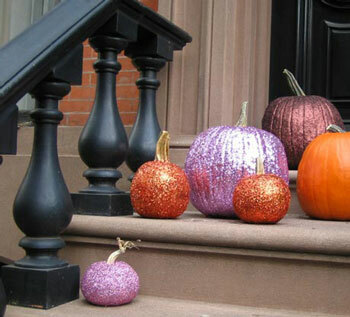 Spray pumpkins with colorful glitter spray paint - this looks amazing! 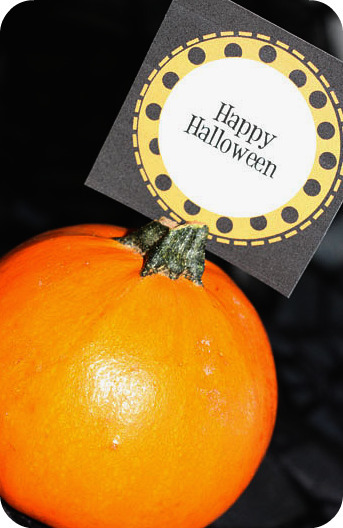 Another cute pumpkin idea is to hot glue mini artificial flower buds all around mini pumpkins. Take 2 cylinder-shaped vases - one large and one a bit smaller. Place fall-colored flowers and water into the small vase and insert into the large vase. Fill in the large vase (down the sides) with candy corn - this gives the appearance that the vase is filled with cute flowers and candy corn. So cute! 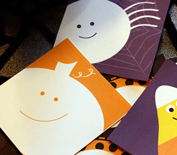 I made these FREE Halloween baby shower favor tags just for you! 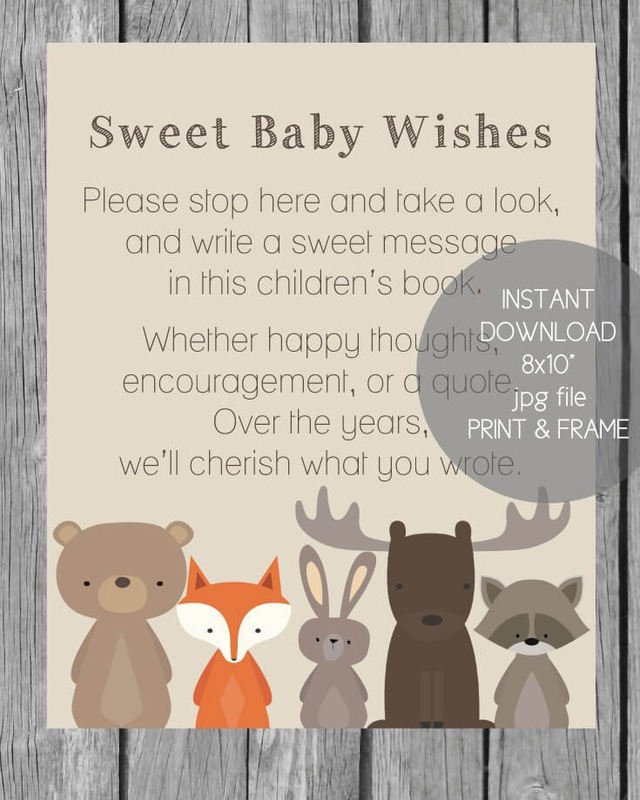 Simply click on the picture to download, print onto card stock, cut out and write a sweet note on the back! Also perfect for gift bag tags too! We even included some tags that are blank circles that you can type your own message into. 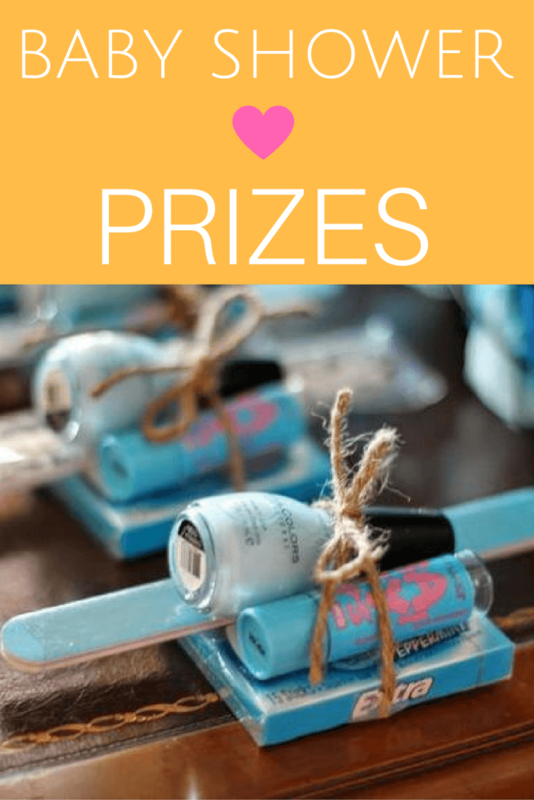 Here are some more sweet little freebies for you to enjoy! 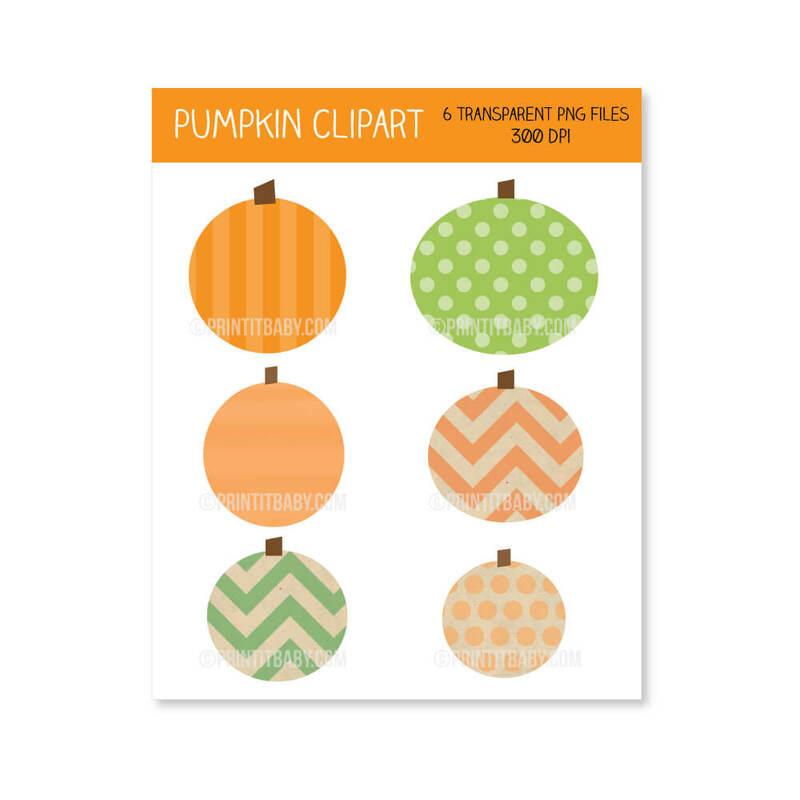 Mini Fall note cards that can be printed onto card stock, cut out and used for thank you cards, gift cards, favor tag cards, you name it! 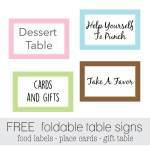 Click on pic to download your free note cards. 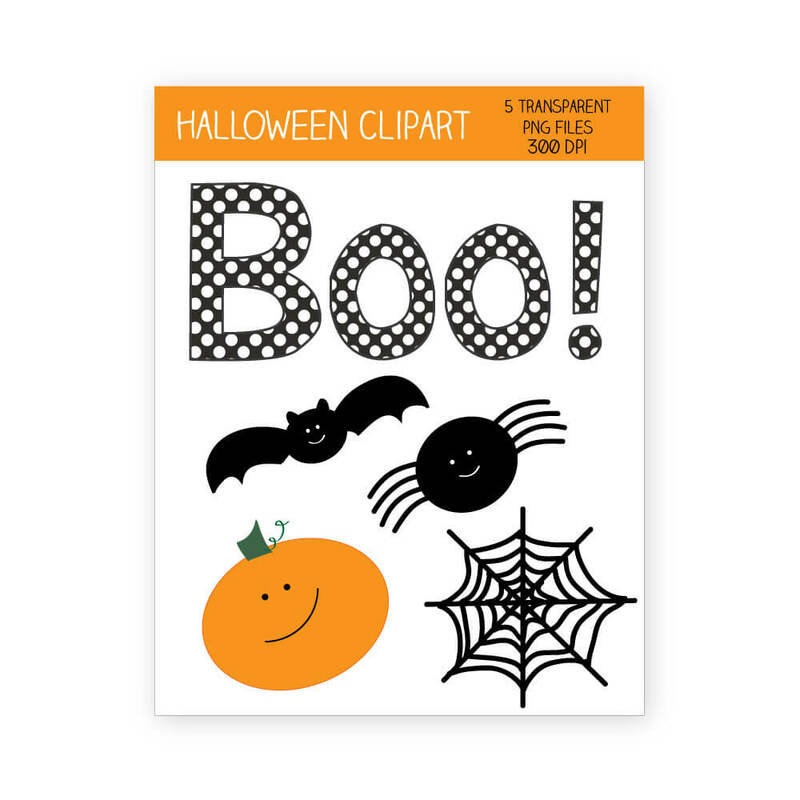 And last but not least, we have some FREE printable Halloween wine tags! 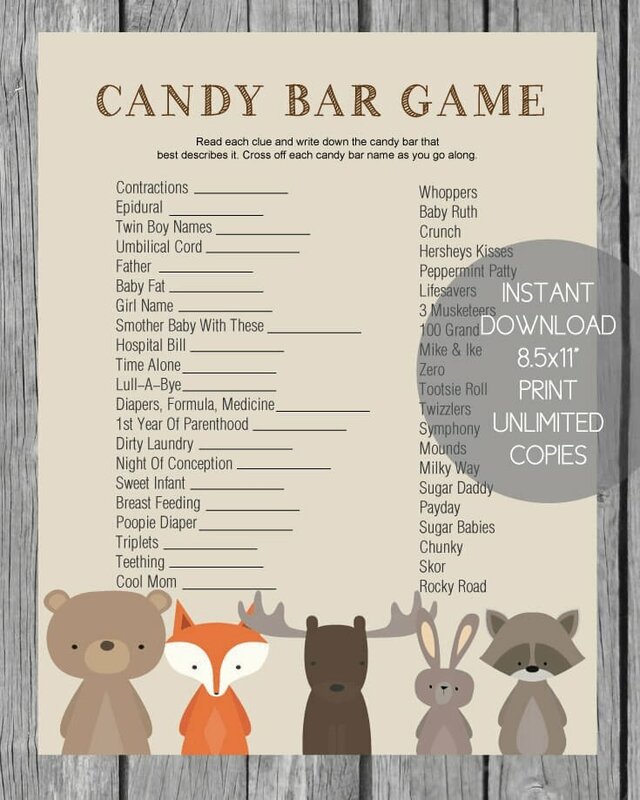 These make perfect baby shower prizes! 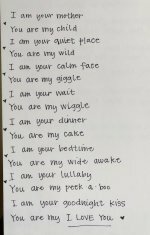 Click on pic to download.